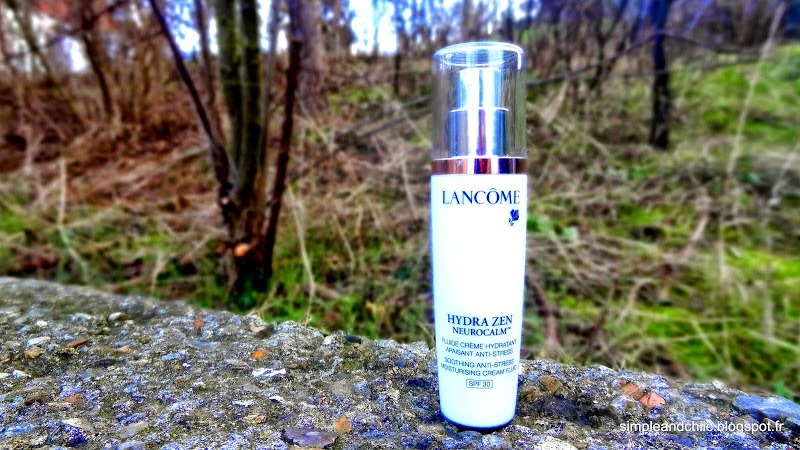 My review/ Lancôme Hydra Zen Neurocalm SPF 30 Fluid : Just perfect ! Hello readers; today I want to talk about a product I discovered last winter. I bought it again this winter and this time I could not forget to tell you about it. By the title of this post you can already guess that I love it, but take more time to read the following to understand why. First, for those who may be knew to my blog; I have to tell you that I always use a moisturizer with SPF30 minimum. The reason being that it helps me fight my dark spots and my issues with skin discolorations. You can find out more about that and all the skin care tips I use by browsing on my "Skin Care" posts. So what do I love so much about this product ? N°1: Unlike many other moisturizers with SPF it does not make my combination/ very dehydrated skin looks oily or shiny. In fact it gives me a perfect amount of moisture. And the great discovery for me was to realize that it even acts as a good makeup primer. This one is 100% transparent so it will not change the color of your skin complexion. 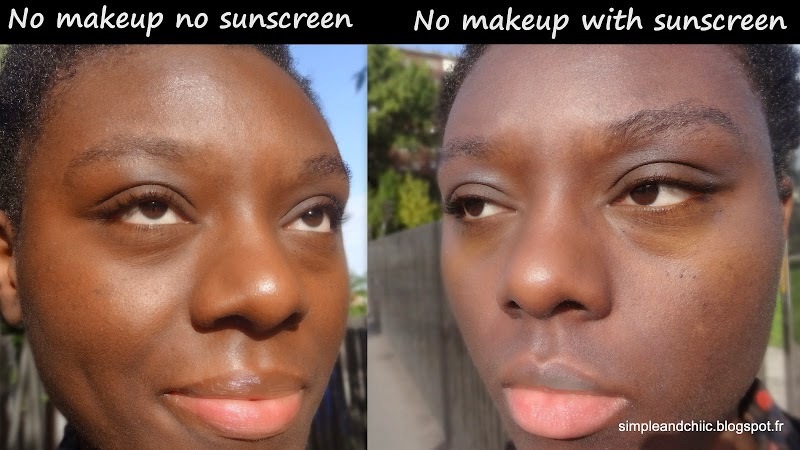 This issue is usually more noticeable on dark skin but as I told you I have no issues with this one. N°3: Unlike many other moisturizers with SPF it does not clog my pores nor does it contain any products that makes me breakout. This is an issue that I have with many of them, especially with SPF 50 moisturizers as I have a very reactive skin type. N°5: Unlike many other moisturizers with SPF it does not smell like a sunscreen but like a moisturizer. It smells like one feels like one acts like one but at the same time it does protect your skin. What else can we expect ? Well there is more: The packaging of this product is perfect. The pump delivers a perfect amount of product. I use 2 pumps to two pumps and a half for my face and neck and it last me the entire winter. The brand has changed the formula of this product. Alcohol denat is now one of the main ingredient. It is the third ingredient in the list. My skin breaks out because of it so I don't use it anymore. I am still looking for a replacement. I'll make a new update when I find one. 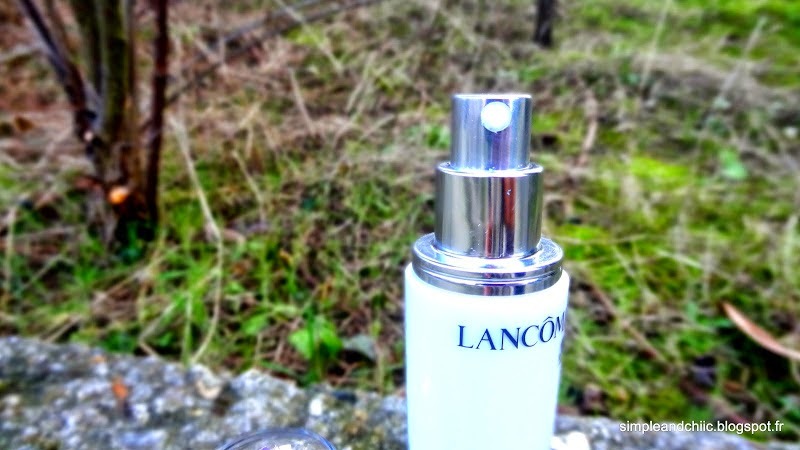 You can find this product on LANCÔME official website. Thank you for a great review of the product! I was in the States and tried Bienfait Multi-Vital SPF 30 from Lancome, and upon returning to Sweden, it turns out they don't sell it here! So I was looking around for a replacement product, and have been looking for decent reviews! Thank you Victorya and I am glad it helps !